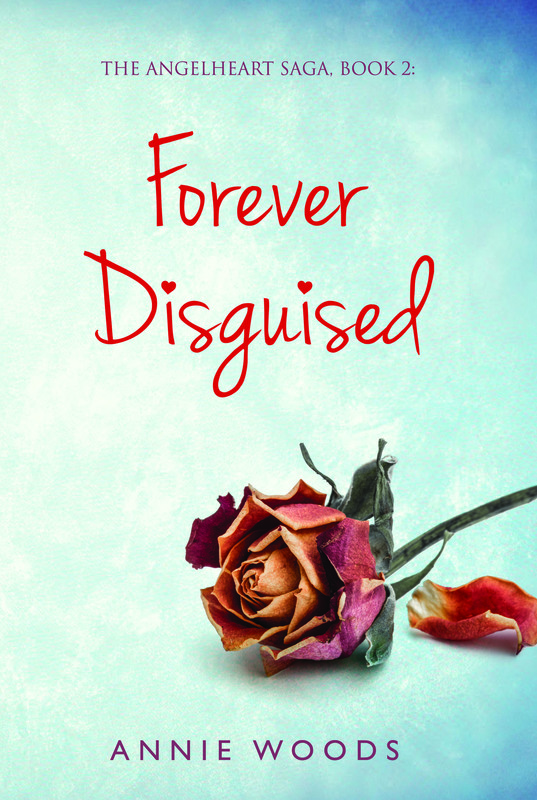 I would like to thank Forever Romance and the author for providing me an ARC in exchange for an honest review and all views stated on this blog are my own. Courtney Wallace loves her job as a wedding planner, but she’s almost given up on her own happily-ever-after. She certainly doesn’t it expect to find it with Matthew Lyndon, the hotshot lawyer she overhears taking a bet to seduce her. She’s not amused by the challenge, but she decides to play along–after all, what better way to beat him at his own game? Matt never intended to take the bet seriously. And moving next door wasn’t part of his strategy to win-it was just a happy coincidence-but the more he gets to know Courtney, the more intrigued he becomes. When fun and games turn into something real, will these two decide they’re in it to win it? Wow, this novel tops the charts for being super sweet! This is the type of novel that is swoon worthy and the author will definitely leave a smile on your face from this sweet read! This is the fourth book in the series but they are on a standalone basis so you can read them in whichever order you prefer. I first came across Hope Ramsay’s work when I read a novella of her’s that was added to the end of another romance novel as an added bonus and it was a big bonus indeed that stuck with me, so when I saw this novel, I knew I had to request it! I am so glad that I requested this novel and it made me smile when I need it the most and what else could you want in a novel? The characterization was great and I bonded with the characters and the plot was steady yet descriptive. Overall, it was a sweet story added to the series and I highly recommend it to fans of romance! xoxoxo! I hope you enjoyed my review and are having a fantastic day! I will blog hopping to a blog near you and of course you A.S.A.P! My family and I are hanging in there. We are having a rough time financially and facing a bad place with the first of the month coming but I know we will get through it and we have a newfound faith that some random miracle will happen soon to help save us. Have a blessed day. I will be catching up on reviews so sorry about crowding your newsfeed! I am trying to get back to my old bloggy self and get back into my groove because I got this and can’t let the chaos around me stop me! I loved this book and I am glad you took the time to read my post! Love ya’ll! xoxoxo! The much-anticipated second book of the Angelheart Saga Trilogy is finally here and today is cover reveal day! Get your copy: The book can be pre-ordered now from the publisher (pegasuspublishers.com) and will be available to order from all major bookshops on June 28! Sometimes you have to see people as a crayon. you need them to complete the picture. Wow, what a book! This novel had me hooked from the first few pages with the beautiful descriptions of the beautiful book store, Color Me Read. Of course as a reader, I am drawn to books that involve books and this book was not the exception! When I first received this ARC from Kensington, I was over the moon not only did the story sound captivating but the cover was amazing!!! Not only did it have a beautiful and intricate design wrapped around the cover, you could customize it by coloring it anyway you wanted!!! Woot! I fell in love with the characters right away with this book! Florrie was such a relatable character. She loved others to a fault, was bookish, was open-minded and was an animal lover. Her passion and loyalty to her job as manager at Color Me Read, gave Florrie the drive to be a great amateur sleuth. I loved that her knowledge from detecting and figuring out what is what came strictly from her being a bookworm. I always knew reading too many mysteries could benefit me in a adventurous way. I loved Florrie’s interactions with the fellow customers, coworkers and a local homeless man, Jim. She always looked out for everyone else and tried to see the best in them. The mystery of this story was well thought out. I thought for sure I had things figured out early on but of course I was wrong. The plot had great descriptions of the settings and the characterizations but still had a steady pace that was perfect for the outline of this story. Overall, this was hands down one of the best cozies I have read in awhile. This book was so much fun but it also had all the details that us bookworms love. I felt like I was in the middle of the book with Florrie and think I enjoyed her adventure and new home way too much! I highly recommend this book to anyone who loves a good cozy and/or anyone who loves to read books that involve books. I thought it was a very unique take to have Coloring Book Artist/Book Store Manager as our amateur sleuth. This is the first book I have read by Krista Davis but it surely won’t be my last! I want to thank Reads & Reels Book Tours and the author for providing me with an eARC in exchange for an honest review. I appreciate this opportunity and being one of the hosts for this blog tour. Magazine editor Geneva Jones has been sent on a trans-Atlantic cruise to help secure a major advertising agreement from the CEO of the cruise line Rachel Atkinson, but her efforts to win her over are curtailed by a mysterious crew death. Geneva suspects foul play. Rachel insists its suicide. A former investigative journalist, Geneva can’t resist digging deeper, but what she finds is far more devastating. There’s an Ebola outbreak on the ship, everyone is trapped aboard and Rachel is trying to keep it secret. Geneva knows enough about Ebola to be terrified, but she’s also onto the biggest story of her career. Rachel turns Geneva’s own colleagues against her when she tries to investigate, so she enlists the help of her son, Aaron Atkinson, whom Rachel adopted from Uganda seven years ago, when he was a teenager. Now an isolated and vaguely broken adult, he’s an easily manipulated source. At least that’s what Geneva thought. Off the coast of Bermuda, with the ship anchored in quarantine, Aaron makes a public announcement informing passengers of the outbreak. Panic surges through the ship. People begin jumping overboard, ignoring a ship-wide lockdown. The ship’s security start to lose control, tasering passengers indiscriminately. A mayday is declared in front of the world’s media, but Bermuda refuses to open its maritime border. The ship limps toward Miami, with more than half of everyone aboard sick. Rachel shocks everyone by resigning after a public lounge is converted into an apocalyptic triage clinic. Geneva has lost her story, Ebola can’t be treated on-board and the nearest help is more than 3,000 miles away. Review: Wow what a thrilling and fantastic book! I give this book 4 out of 5 thrilling stars! While reading this book I was on the edge of my seat and so anxious to figure out what was going to happen next! The reason I am not giving this book 5 stars is because I was a bit confused in the beginning and wasn’t sure what was going on at first. This probably could have just been me but overall this was a great read! This book was filled with twists and turns that I didn’t see coming! There is action in this book from beginning until end! I highly recommend this book! Here’s the listed schedule of the blog tour hosts and when their reviews will be placed for this book! Happy Reading!